During this holiday season, you can be a part of changing the lives of families living in extreme poverty in Romania, Moldova, and Guatemala while you shop. 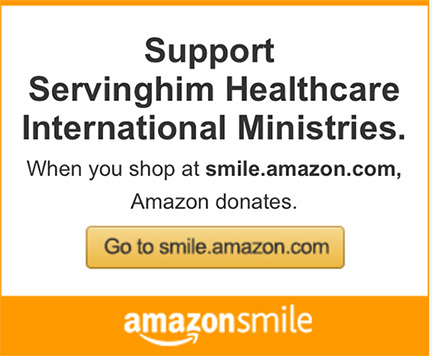 All you need to do is add ServingHIM Healthcare International Ministries as your AmazonSmile designated charitable organization and click the link below to start shopping. The AmazonSmile Foundation will donate 0.5% of the purchase price from your eligible purchases to ServingHIM Healthcare International Ministries. ServingHIM is dedicated to serving the physical and spiritual needs of people in the name of Jesus Christ. Thank you for connecting with us. We will respond to your question as soon as we can.